Posted February 13, 2016 by Ian McArdell & filed under Books. Since returning to the Earth defending game, post-Miracle Day, Gwen Cooper has been working primarily from the boot of her car with only her long-suffering husband Rhys as backup. As Torchwood’s hub was destroyed in ‘Children of Earth’, Gwen is seeking to re-establish a new base of operations in the Cardiff Bay. The major obstacle to this plan is Robert Pugh, a city planner who apparently has no knowledge of the city’s best known secret organisation and would rather see the land used for other things. Virtually kidnapping Pugh to get her point across, Gwen subjects the poor man to the ride-along from hell encountering various alien incursions around the city. Crucially though, with her antagonistic attitude she utterly misjudges Pugh who as well as a bit of an old romantic, is a grieving widower and not just the humble pen-pusher she assumes. Eve Myles hits her stride instantly as the non-nonsense Gwen, throwing loud exclamations of “bloody hell” and “mate” around in her own inimitable style. While that’s all good fun, it is in the quieter moments that Myles really shines, showing a vulnerability to Gwen and the weight of her responsibilities as she tackles near unstoppable odds. For his part, Richard Nichols brings depth to the role of Pugh, which could easily have been played more for laughs, and moves him from despair to the glimmers of hope. With the character’s background and familiarity with city council operations, we would not be adverse to him becoming part of a new Torchwood team… perhaps in a more office bound Ianto kind of role? There’s another familiar voice too, as the pair encounter Sergeant Andy Davidson (Tom Price) in and around the city, waiting for the moment when Gwen will call on him for help. We hope he’ll be back for more also. Guy Adams’ script provides plenty of action on the mean streets of the Welsh capital, from sentient mould to alien starfish and temporal disturbances. We also particularly enjoyed the restating of Torchwood’s purpose; the rift now apparently acts like a vacuum cleaner, attached at Cardiff end and waving around the universe sucking things up and dumping them in the city. Cleverly, at a point where the organisation appears to be on the verge of a comeback, this story throws a nod back to ‘Day One’, Gwen’s first day on the job. 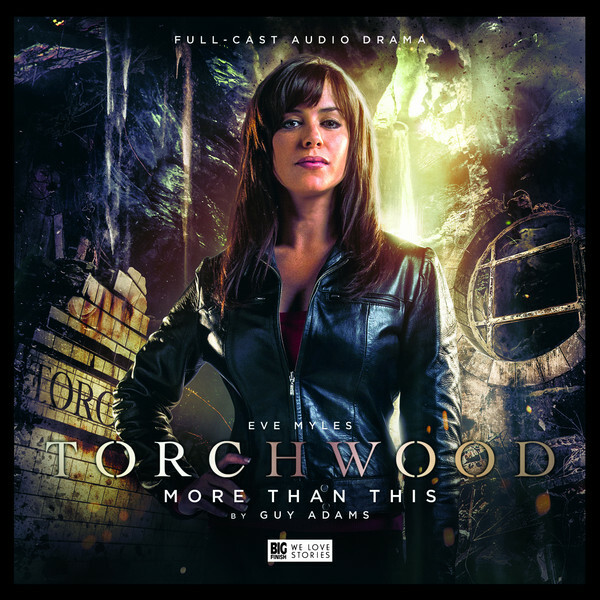 With this superb Torchwood reinvention now at the end of its first season and barrelling straight into the next, we are being treated to some genuine diversity; adventures set in the organisation’s history, its recent past during the television series and also its future. We look forward to where Big Finish’s second season of adventures will take us, starting with March’s Victorian set adventure for Jack and then the return of Naoko Mori as Tosh in April. Released in February 2016 by Big Finish.